While the City of Memphis annual budget covers facilities and staffing, with a small allocation for materials, it is because of private funding that the Memphis Public Libraries offers so many programs/activities, all for FREE. 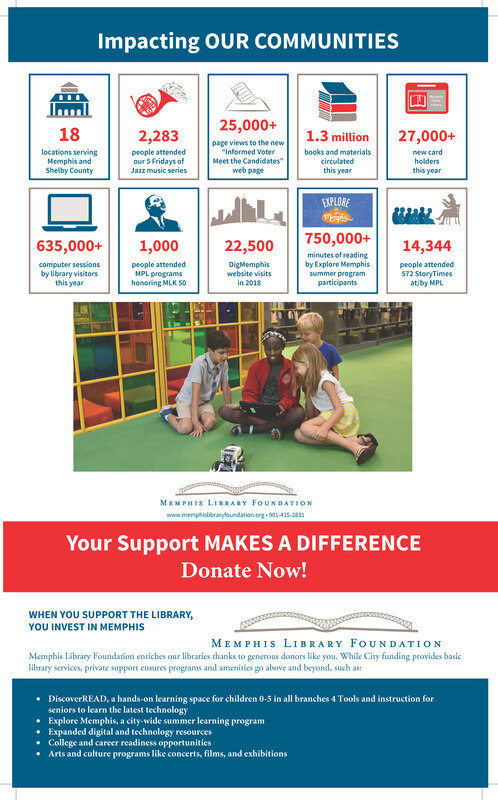 The Memphis Library Foundation provides enhances to the Memphis Public Libraries, and we need your help! Here are some ways you might support your Libraries. Making a donation in someone’s honor or memory is a great act of kindness. We can also send that someone or their family an acknowledgement of your gift. 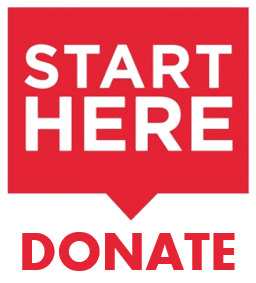 Many organizations choose to direct their gift to a specific library program or event that relates to their corporate social responsibility goals. To discuss sponsorship opportunities, call 901-415-2831. Throughout the year, when shopping on Amazon, 0.5% of your purchase price may be donated to the Memphis Library Foundation, by shopping/choosing us. Click here to support the Library through your Amazon orders. 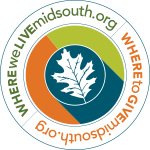 Browse around at all the Memphis Public Libraries’ activities for all that is available to you, for FREE, and see what you want to support!